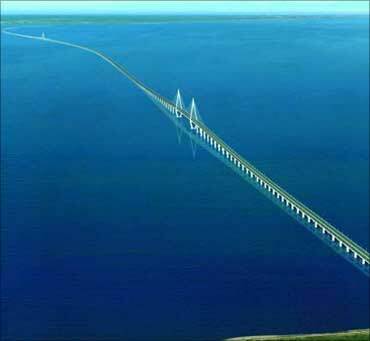 The world's longest trans-oceanic bridge extends across the Hangzhou Bay to over 35.673 kilometres (22 miles). It has six expressway lanes in two directions. Inaugurated in May 2008, this modern wonder is an S-shaped stayed-cable bridge with six lanes in both directions. It brings down the distance between Shanghai and Ningbo by 120 km. This architectural wonder cost a whopping 11.8 billion yuan ($1.70 billion). The Nanpu bridge is the fourth longest cable-stayed bridge in the world. With a length of 83.46 kilometres, it is first steel and concrete composite girder cable-stayed bridge built in Shanghai. 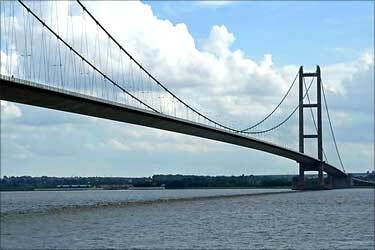 The tower height is 150 metres with two lines of strong cables suspending the bridge. The spiral bridge design in puxi is an outstanding feature. 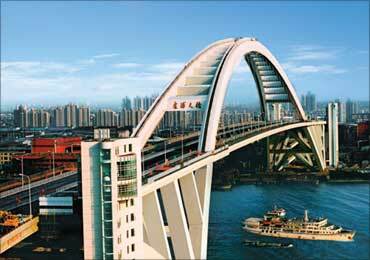 The Lupu Bridge of Shanghai is the longest steel arch bridge in the world. Its 550-meter-long arch span is 32 metres longer than that of the New River Gorge Bridge in West Virginia, US. The spectacular main arch is 9 metres high and 5 metres wide. Built in 1916, the Wind and Rain Bridge reflects the Dong architecture. 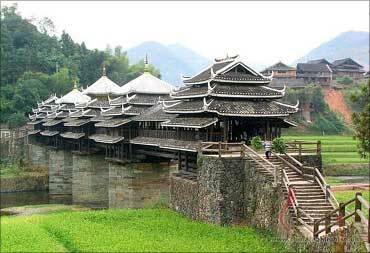 Located in the Chengyang Village of Sanjiang County, the bridge is across the Linxi River. It is also called Linxi Wind and Rain Bridge. Image: The Wind and Rain Bridge. A suspension bridge built on the Zhoushan Archipelago, it is the second longest suspension bridge by the length of the centre span. The 5.3 kilometre long suspension bridge has a 2.6 kilometre long main bridge with a central span of 1,650 metres. 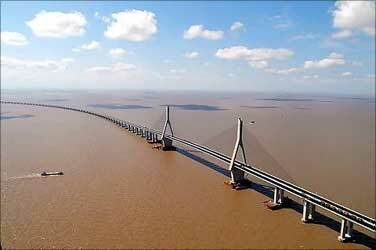 The bridge was built at a cost of 2.48 billion yuan ($300 million). 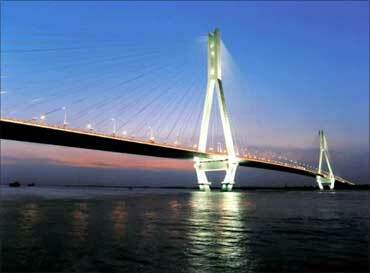 The Runyang Bridge is a huge bridge complex that crosses the Yangtze River in Jiangsu Province, China. 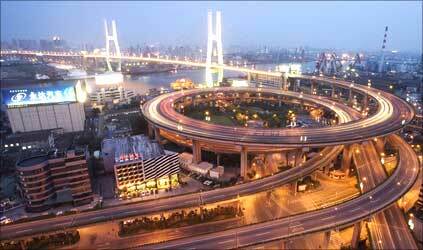 The complex consists of two major bridges that link Zhenjiang on the south bank of the river and Yangzhou on the north. The bridge is a part of the Beijing-Shanghai Expressway. The south bridge is a suspension bridge with a main span of 1,490 metres (4,888 ft). The north bridge is a cable-stayed bridge with a main span of 406 metres (1,332 ft) with towers 150 metres (492 ft) above water level. The bridge, inaugurated on 30 April 2005, cost 5.8 billion Yuan (about $700 million). The Donghai Bridge is one of the longest bridges built across the sea. The S-shaped Donghai Bridge was built at the cost $1.2 billion. It has a total length of 32.5 kilometres (20.2 miles) and connects mainland Shanghai and the offshore Yangshan deep-water port in China. The world's largest gold coin! Samosas, dal popular at Shanghai expo!